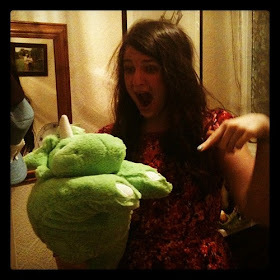 t*rexes and tiaras: let me see your halo.. So today I'm in London at the Paralympics. I thought I'd post yesterday's outfit instead as my Paralympic outfit wasn't ready at the time of posting...bet you can't wait for that now. I've been really excited and looking forward to this day and plan to take lots of photos, which is weird because before Olympic Fever hit the UK I really wasn't that bothered. I wasn't even that fussed about the Olympic torch, although I did go to see it in the end. I also have been feeling a bit down, after discovering that someone I thought I could trust has been lying to me for a while. So I'm definitely excited at the prospect of a rather lovely day away, which I know will take my mind off things! This dress was a recent ebay bargain. (So much for selling my things, all I seem to be doing is replacing the things which don't fit, before I've actually shifted them. Must make an effort to take some photos - should I add to the blog sale page or just go straight to ebay? 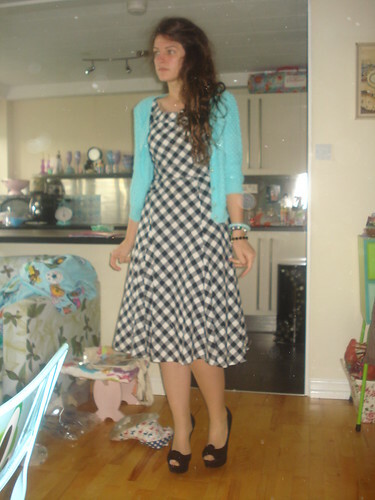 ), it's apparently 'vintage' Laura Ashley. I'm really pleased with the fact it actually seems to fit my waist. I figured it would lend itself to almost any colour of cardigan, but plumped for this one as I love it's cheerful colour. Threw on a pair of old favourite shoes, dug some bracelets out of the jewellery box and was out of the house earlier than usual, only to be reminded that it was term time again and therefore takes three times as long to get to work. Argh. 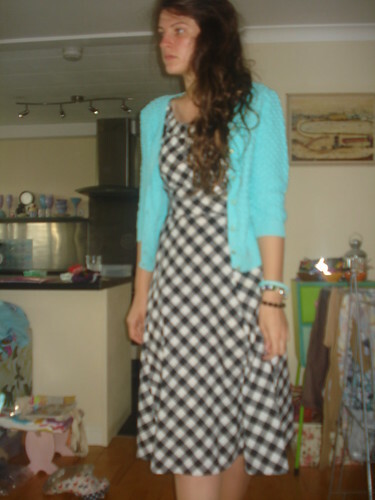 Love that dress but I think I may the love the cardi even more. What a gorgeous colour! Oh man, that dress! It looks like it was made for you! P.S. finally posted your letter today! 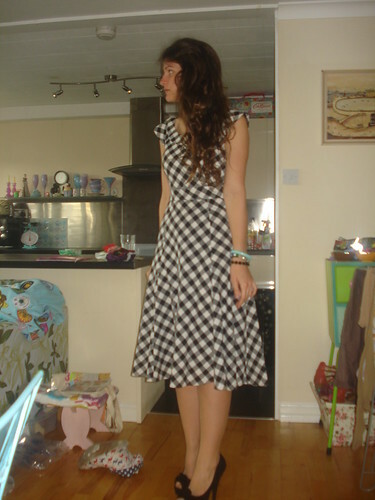 Loving the dress, very 50s style and very girly too. this outfit is baller. and i just got a bright blue cardy too!! You look beautiful in it! 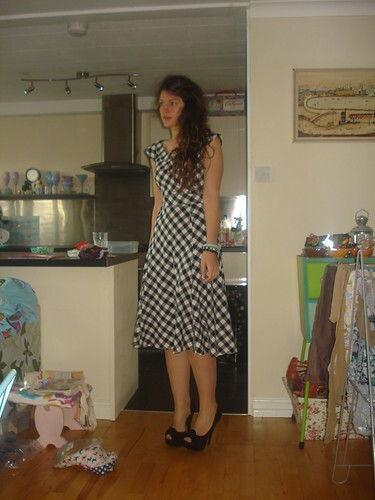 Ah man, I've been looking for a black/navy and white checked midi dress for ages AND on Ebay, how did I miss this?! I'd totally have been competing against you for it!!! Gorgeous! Glad you had a lovely day and sorry that someone's been a dooshbag to you. 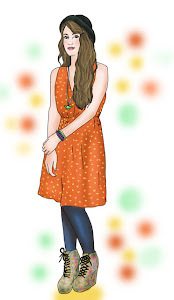 Love that dress, it looks great on you! I went to the Paralympics on Monday and had an amazing time... Hope you had a good day!